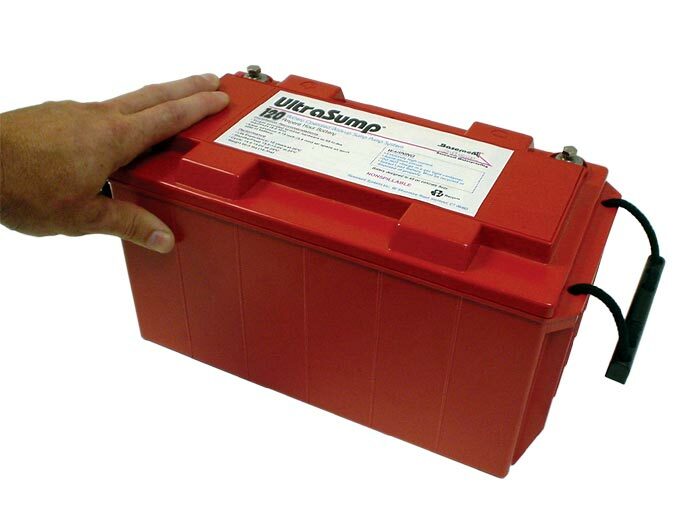 Our UltraSump® Battery Backup System, complete with battery, pump, alarm, and charging unit. 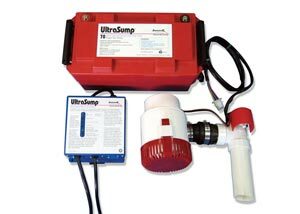 This system is included as a standard component of our TripleSafe™ Sump Pumps, and is available as an add-on for our other sump pump systems. For added longevity, multiple batteries can be hooked up to a single system. Sooner or later, your home's power is going to go out, your sump pump will fail, or your system will be overwhelmed by heavy volumes of water. Most likely, that will happen during a large storm, when rains are heavy, and you need your system more than ever. When that happens, you'll be glad that you have a second line of defense ready to take over. The best option for times like this is battery backup system. Why A Battery Backup System? Unlike a standard, box-store, generator-powered pump, a battery backup system can turn itself on and off, regardless of whether or not your home (and awake) when it's needed. Our award-winning battery backup systems are just what you need to protect your basement from flooding during power outages and sump pump failures. You can count on our system to help keep your basement dry all the time! Contact us by phone or e-mail today to get in touch with your local dealer. We'll provide you with a free, no-obligation battery backup system quote, as well as a copy of our free, full-color waterproofing book! There's a lot of wet basements out there. And as a result, there's a lot of companies competing to sell you a battery backup system. This has led to the development of a many different kinds of systems that stretch across a wide range of quality and reliability. Low-end battery battery backup systems can lose their charge while sitting on the basement floor. Even at full charge, these systems may only last for an hour or so until their charge is used up. No matter what kind of system you purchase, the "operating time" of the system will vary greatly. This is because a sump pump does not run continuously -- instead it pumps out the sump pit then shuts off. When the pit fills again, it turns on once more. How often those on/off cycles continue determines the life of the battery's charge. 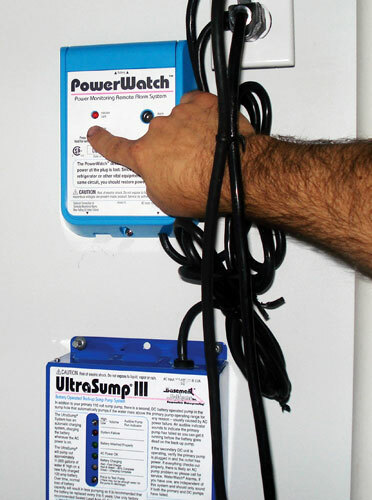 That being said, our system, the UltraSump®, can pump more than 12,000 gallons of water on a full battery charge. That's enough to fill a small swimming pool! When your battery backup system turns on, how will you know? Only if your home and awake when the power goes out will you be sure that's the case. What if your backup turns on because the primary pump has failed, a fuse has blown, or the system was accidentally unplugged? Under these circumstances, your battery backup can only protect you for so long. 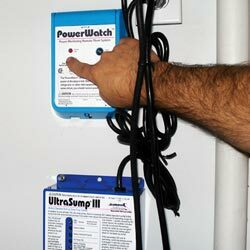 Your battery backup should include an alarm system -- one that sounds off when the system is in use. Our UltraSump® System takes the protection one step further by being compatible with many home alarm systems. This way, if you're not at home to hear the alarm sound, you can still get a phone call from your alarm company to let you know the system is on. 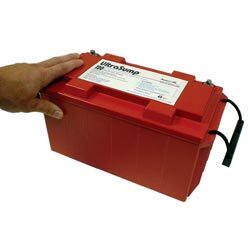 Many homeowners opt to use battery or generator power as a secondary power source for their pump instead of installing a battery-powered sump system. 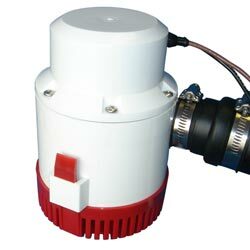 This is potentially a great option for dealing with a sump pump system whose power has gone out. A generator may last almost indefinitely, and it can certainly keep your pump going, provided you have enough fuel. However, an automatic generator is very expensive, and a portable one requires you to be home (and awake) to operate it. 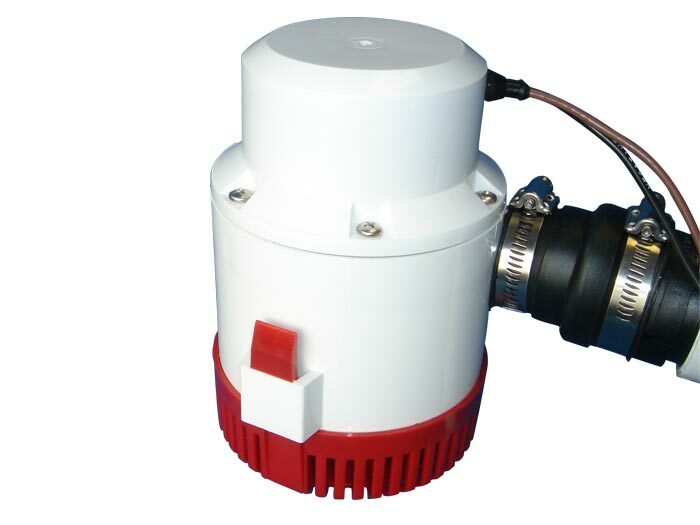 Additionally, while these systems are effective, they cannot address all of the problems that a battery backup pump can, such as primary pump failure, or heavy water volumes that overwhelm the primary system. 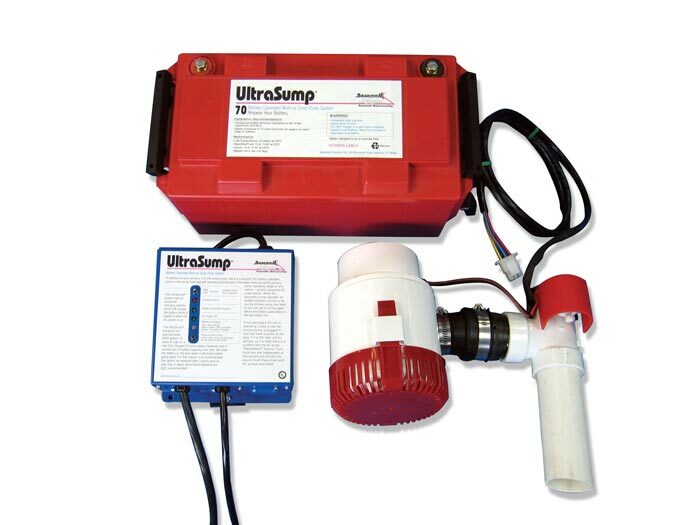 Our sump pump systems have been carefully researched and tested to provide you with a system that leads the industry in reliability and long-lasting performance. Our waterproofing systems have been successfully used in hundreds of thousands of homes throughout North America and Europe, and we are confident that they are suited for your home. To get in touch with your local dealer to schedule a battery backup pump installation quote, contact us by phone or e-mail today! 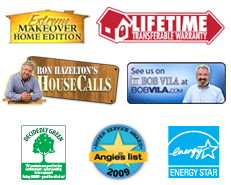 Each free quote includes an on-site inspection and measurement of your basement or crawl space. We'll answer any questions you may have, and work with you to create a customized system that accomplishes every goal you have for your basement. As an added convenience, we'll also mail ahead a copy of our detailed, full-color waterproofing book. These powerful research tools are packed with information about solutions for basements and crawl spaces, as well as details about our products and services. Don't wait to create a drier, healthier, and more valuable space within your home! Our experts are standing by to help you!